This blog post is part of a brief series that commemorates Vikan’s 120th birthday. We have reached back into the archives for stories that illuminate some of the major themes and waypoints that have marked our journey thus far. In doing so, we hope to also offer some insight into who we are as a company today. When Pedersen’s sons, Carl Vilhelm and Gunnar, took control of Vikan in 1933, both young men had already spent time in Germany learning about the latest automation machinery, which drove growth at the company throughout the 1930s. In addition to having exclusive rights to the use of a machine that could produce 3,000 broom handles a day, the company invested heavily in machinery that helped automate a great deal of work, from industrial drills to special ventilation systems. For Vikan, the 1950s and ’60s were a time of modernisation, expansion and process rationalization – via automation where possible. This period culminated in the early 1970s with a switch to plastic materials and the revolutionary Vikan “White Series” of hygienic brushes, which helped turn Vikan into a major exporter of cleaning tools. 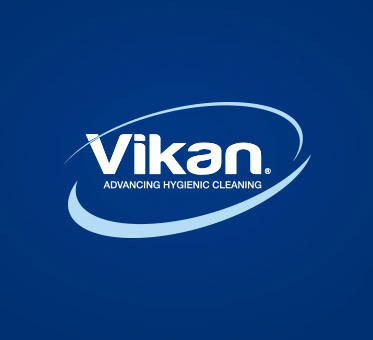 Since then, the technological advances have only accelerated, with Vikan pioneering innovative concepts such as colour coding, hygienic design in cleaning tools, Ultra Safe Technology (UST) and sophisticated online services. These innovations have driven not just advances in hygienic cleaning and growth for the company, but also new industry standards and regulatory requirements. Yet as important as it has been, technology has never told the whole Vikan story. Because our people have always been equally important – and still are today. "A worker must never be seen as merely a tool, like a machine … he must, like anyone else, be regarded as having his own will, as a human being with not just a body, but also a soul. He should therefore not be kept in the dark about the company’s orderbooks and delivery deadlines. If he’s kept informed about such matters, he will feel that he’s involved, that he has been given responsibility. He needs to feel that if he does his work well, he’ll get ahead, and that if he does his work poorly, it will stand in his way. And he must understand that he has a say in whether he gets ahead or not." We find these words extraordinary coming from the period during which Mr Pedersen lived and, not least, given the importance that technology – machines – played at Vikan and in Mr Pedersen’s thoughts. But somehow, we’re not really surprised. Vikan has long been a leader in what we now call “human resources” – from our pioneering establishment of a company health programme already in 1912, to our “Employee Association” and other initiatives today. An interesting point about Vikan employees is that they have never feared the technology – even automation technology – that has been so important for our success. Because when people feel empowered, as our people do, they see technology as a means to their own greater success and job satisfaction. Of course, the best way to find out what Vikan employees think about their jobs is to hear them tell it themselves – which we invite you to do via these online video interviews.